Sardinia is Italian yet fiercely protective of its own identity. 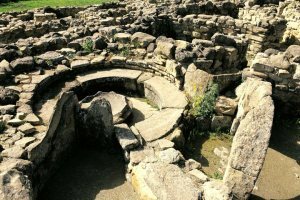 Equidistant between Europe and Africa it's an island full of allure and intrigue boasting a rich history with an abundance of Neolithic sites and much more. 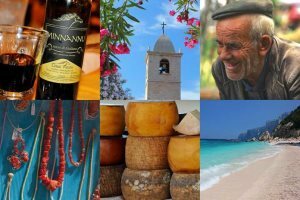 Find out more about each individual region of Sardinia and discover what every corner of this beautiful island has to offer during a Sardinia holiday. 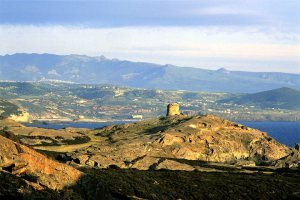 Discover a range of articles discussing the island of Sardinia via our Sardinia Blog. From information and inspiration, to expertise and tips, you'll find it all here. Need more holiday inspiration? Check out our Holiday Ideas page and learn more about the type of holidays we offer to the island. 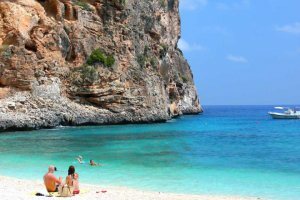 Sardinia's spectacular coastline, with its white sand beaches and crystal-clear emerald water, is some of the best that the Mediterranean has to offer. 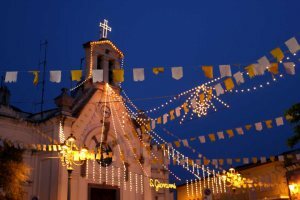 The nightlife and cuisine in Sardinia is extremely rewarding. 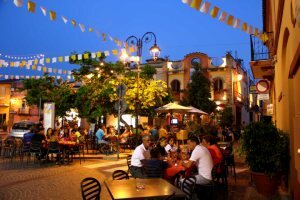 Italians spend most of their evening socialising, dining and drinking wine, either on a terrace of a sidewalk café or in a restaurant. 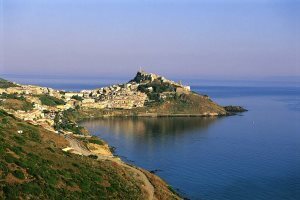 At Sardinian Places we have a fantastic and diverse range of accommodation from luxury hotels and comfortable villas, to stylish apartments and spacious houses. 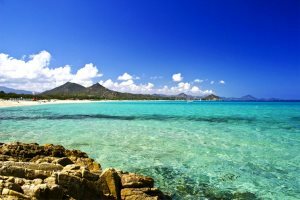 Sardinia boasts a Mediterranean climate with long hot summers and coastal temperatures averaging 28.5 degrees (83F) in July and August. 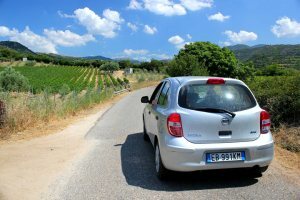 Hiring a car is the best way to get out and about, giving you the freedom to explore the island at your leisure. 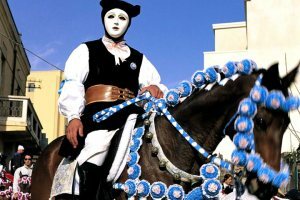 Sardinians are friendly and polite with a strong sense of tradition and a passion for their island. This is reflected in their many festivals and events that take place throughout the year. 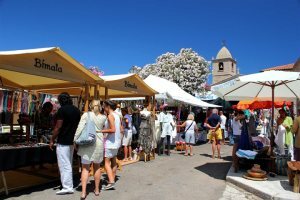 Shopping in Sardinia is somewhat low-key with a handful of craft shops in the main tourist areas. Discover the location of all our properties, the closest airport to your choice of accommodation and all the top landmarks of the island. 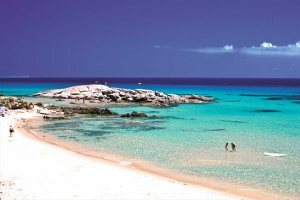 Sardinia will dazzle you with its breathtaking scenery and immaculate unspoilt beaches. Just over 2 hours from the UK, with secluded inlets, rugged cliffs and stunning scenery not to mention the miles of coastline that provide a wealth of water sports and secluded spots to sit back and relax, visitors will not be disappointed. 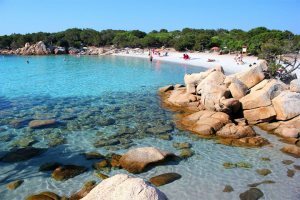 The north east of Sardinia is home to the Costa Smeralda, probably the most well known part of the island, with a long stretch of white powder-sand beaches. 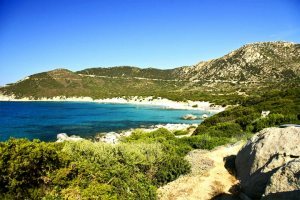 Sardinia’s north west coast shelters the most attractive seaside resorts on the island, interspersed with some really spectacular coastline. 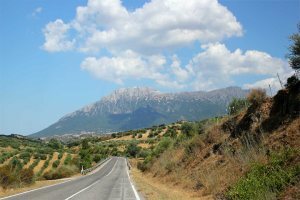 It has taken much longer for visitors to discover the incredibly wild, beautiful and unspoilt region of Southern Sardinia.